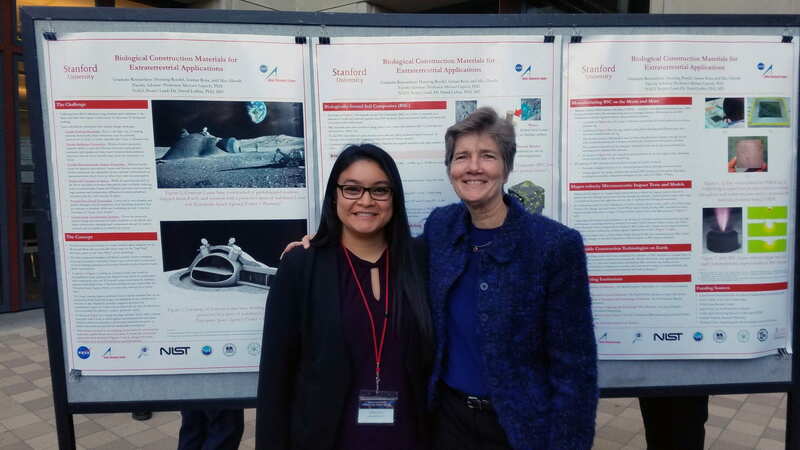 SJSU student Andrea Coto presented research with SJSU AVP for Undergraduate Education Thalia Anagnos at the Stanford Blume Center/SURI Affiliates/Alumni Meeting in fall 2018. 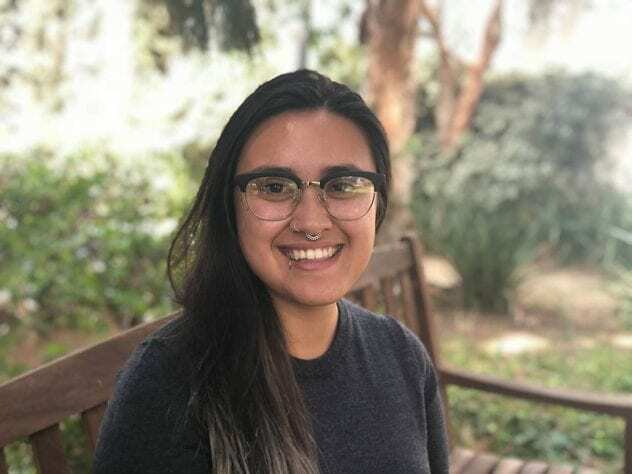 Coto, ’19 Civil Engineering, has received a National Science Foundation Graduate Research Fellowship to pursue a graduate degree at Stanford. Despite her acceptance to graduate school at Stanford in the fall and an impressive undergraduate career, which boasts three associate degrees, internships with NASA and the Port of San Francisco, along with participation in the McNair Scholars Program, the Engineering Leadership Pathways Scholars Program (ELPS) and the Stanford Summer Undergraduate Research Programs (SURF), Andrea Coto is still a bit shocked that she was recently awarded a National Science Foundation Graduate Research Fellowship (GRFP). Securing a fellowship is intensely competitive: For the 2018 competition, NSF received over 12,000 applications and made 2,000 award offers. 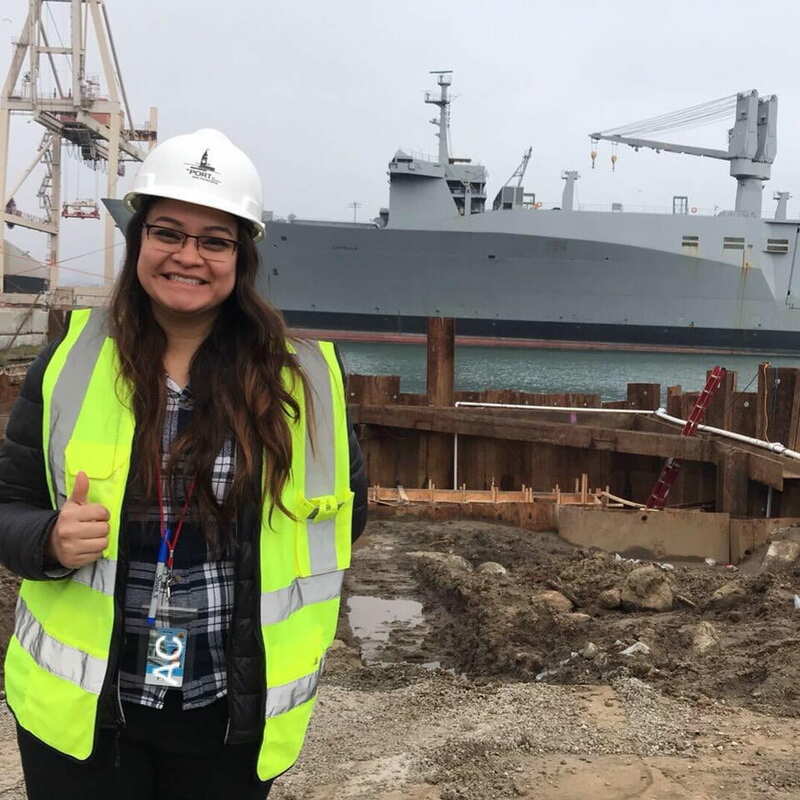 Andrea Coto poses at a project at the Port of San Francisco in 2019. The GRFP is the oldest graduate fellowship of its kind, and recognizes outstanding graduate students in NSF-supported science, technology, engineering, and mathematics disciplines who are pursuing research-based master’s and doctoral degrees. NSF Fellows often become knowledge experts who contribute significantly to research, teaching, and innovations in science and engineering. In the more immediate future, the fellowship will fund three years of Coto’s graduate program. While still processing the news, she is already mapping out the possibilities. Her NSF proposal and anticipated graduate research will focus on one of her passions: sustainable design and construction as it relates to extreme environments, specifically outer space. Several years ago, Coto herself might have doubted this kind of self-assuredness. If not for a handful of key mentors, she said, she wouldn’t have made it this far. Coto was born in the Bay Area, but much of her young life was spent in El Salvador, the native county of both her parents. After their separation and divorce, Coto’s mother was left to raise Coto and her brother on her own. Although Coto earned a technical degree in civil engineering in El Salvador, upon graduation, there were no job opportunities. Soon afterward, relatives in San Francisco invited her to come live with them. Coincidently, she had saved just enough money for a flight to the Bay Area. She was hesitant to leave her family and her boyfriend behind, but she knew it was the only way. Her early days here were challenging, from trying to learn conversational English to working at a Dollar Store in the Mission for $6 an hour. Things shifted when she started taking non-credit ESL classes at City College of San Francisco, and her English language skills were buoyed by her work in retail, which included selling shoes at Macy’s. 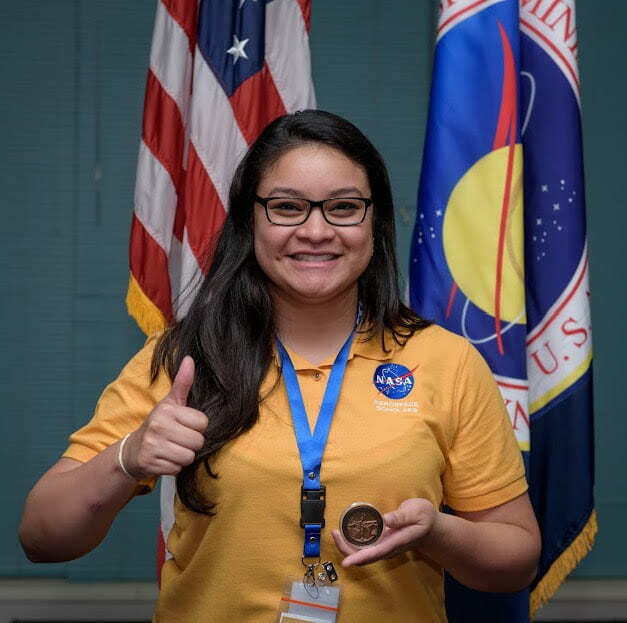 Andrea Coto, ’19 Civil Engineering, participated in NASA’s Community College Aerospace Scholars program while earning an associate’s degree. She eventually matriculated at the Ocean City College campus, where she met a key mentor, Dr. Edgar Torres. After a difficult semester juggling three jobs and failing Calculus II, she told Torres she was going to drop out. Early mentors like Torres were invaluable to Coto, and she has consistently sought out female and Hispanic engineers, graduate students and professors as role models along the way. “I don’t believe in the ‘you can’t see, you can’t be’ philosophy, but representation is incredibly important,” Coto said. 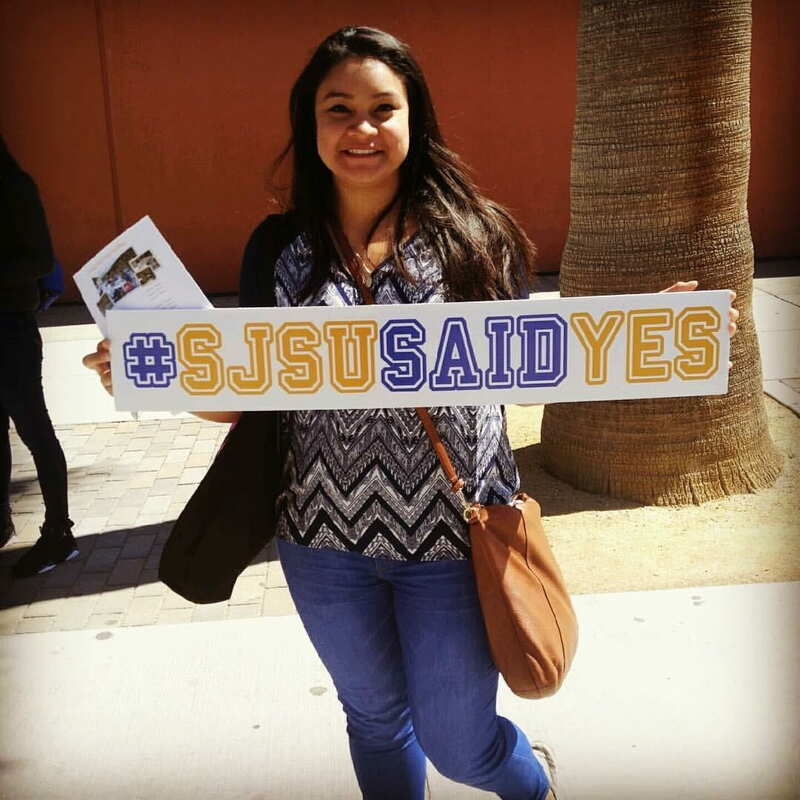 Andrea Coto joined SJSU as a transfer student. Here she poses for a photo on Admitted Spartans Day after she accepted admissions to SJSU. Once at SJSU, she worked diligently to leverage the resources available to her. She also credits professors and administrators such as Dr. Laura Sullivan Green from the Department of Civil and Environmental Engineering, McNair Scholars Director Dr. Maria Elena Cruz, and Engineering Leadership Pathway Scholars program founder Dr. Thalia Anagnos, for guiding her and showing her what was possible. Anagnos created the ELPS program in partnership with the NSF, and it has provided scholarships, mentoring, leadership and career development to more than 70 low-income, academically talented students at SJSU. Even when discussing the recent death of her father, that optimism is evident. Coto learned he had terminal cancer in the midst of applying to graduate schools and the NSF program. As she toured places like MIT and Stanford, she sent him photos and videos so that he could share in the experience. She also returned to El Salvador several times last fall to visit him. “Being there with him before he died healed a lot of things,” she said. Despite this loss, she continues to move forward. Her mother, brother and her boyfriend (who is now her husband) were able to join her in the U.S. in 2013, and she views her accomplishments as collective achievements. “All that really matters is that we are together,” she said. As graduation nears, Coto is focused on yet another goal: outreach. She wants underrepresented students like herself to hear her story and see where they can go, and in the process, hopefully shift negative narratives around Latino immigrants. TechEdSat, a NASA-sponsored cube satellite that SJSU aerospace engineering students have worked on, launched from Japan to the International Space Station. NASA TV began its live-stream coverage on Friday, July 20, 6:15 p.m. PDT. Then 7:06 p.m. was the official launch of the Japanese transfer vehicle, which contains TechEdSat and four other cube satellites from international universities and organizations. Normally, projects that are sent to the International Space Station take four and a half years to complete, said graduate student and system engineer Ali Guarneros Luna, but TechEdSat was completed in about nine months. 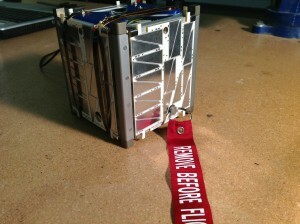 The student team was responsible for designing and integrating the cube satellite’s system, as well as performing various tests and making sure it passed the standards of both the International Space Station and NASA. If this mission is successful, then it may lead to future cube satellites with a similar communication system. 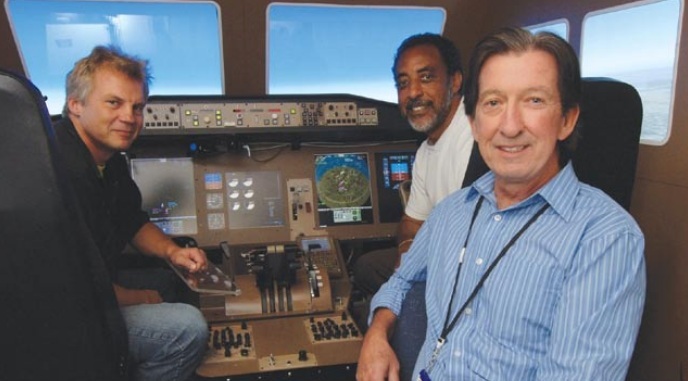 Kevin Jordan (front) with Tom Prevot (back left) and Vern Battiste (SJSU Research Foundation photo). SAN JOSE, Calif., — The NASA Ames Research Center in Mountain View, Calif., has selected San Jose State University Research Foundation for a five-year, $73.3 million cooperative agreement to participate in the development of systems for improving the safety and efficiency of air and space travel. NASA scientists, along with SJSU faculty members and graduate students, will collaborate on this effort, funded by the largest federal award in SJSU history. 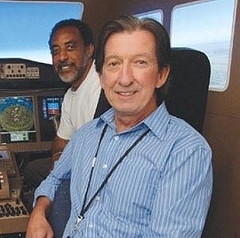 The principal investigator will be Professor of Psychology and of Human Factors and Ergonomics, Kevin Jordan. This cooperative agreement will build upon Jordan’s 26-year association working with NASA to conduct research focusing on human factors in aeronautics and space exploration. A human factor is a physical or cognitive property that is specific to humans and influences functioning of technological systems. Human Systems Integration Research studies how relationships between humans and machines can be optimized. Under this cooperative agreement, San Jose State students and employees will work side-by-side with NASA scientists on a range of projects. Examples include the Next Generation Air Transportation System, which seeks to modernize the nation’s air traffic system by increasing the capacity and safety of U.S. airspace and the Space Launch System, an advanced heavy-lift launch vehicle designed to take a crew vehicle, as well as important cargo, equipment and science experiments to Earth’s orbit and beyond. The proposed projects will investigate the integration of unique human capabilities with future flight-deck (cockpit), air-traffic control, and mission planning and scheduling technologies. An important aspect of this award is that it will further SJSU and NASA’s efforts to provide graduate students with academic and professional training. In the past year, Jordan has overseen three cooperative agreements with NASA representing more than $10 million in funding and employing 75 researchers, including graduate students working toward degrees in psychology and human factors in ergonomics. Jordan has taught undergraduate and graduate courses in visual perception at San Jose State since 1984. During his career, Jordan has authored proposals resulting in over $125 million in funding to support collaborative research in aerospace human systems integration. The San Jose State University Research Foundation is a 501(c)3 non-profit corporation established to enable and promote externally-funded programs that further SJSU’s comprehensive educational mission, impact, and public benefit. Each year hundreds of local, state, and federal agencies, businesses, and other organizations partner with the research foundation to engage SJSU faculty and other university specialists to perform basic and applied research, public service and community projects, consulting, and other specialized educational activities impacting the region, the nation and the world. San Jose State — Silicon Valley’s largest institution of higher learning with 28,000 students and 3,190 employees — is part of the California State University system. SJSU’s 154-acre downtown campus anchors the nation’s 10th largest city. “In the cosmic game of hide and seek, finding planets with just the right size and just the right temperature seems only a matter of time,” said Natalie Batalha, Kepler deputy science team lead and professor of astronomy and physics at San Jose State University (NASA image). Originally published by The State Column Dec. 20. 2011. NASA’s Kepler mission trumpeted the discovery of several Earth-size planets circling a sun-like star outside our solar system Tuesday. While Kepler-20e and Kepler-20f (the newly discovered, Earth-size planets) are too close to the sun-like star to be in the “habitable zone,” where the formation of liquid water is possible on a planet’s surface, they are the smallest exoplanets (planets outside our solar system) ever validated around a sun-like star. For NASA, the monumental discovery is the next milestone in the ongoing search for Earth-like planets. According to a NASA press release, the two Earth-like planets are believe to be rocky. 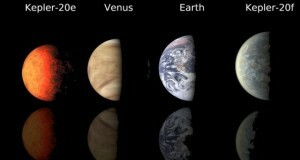 Kepler-20e is a bit smaller than Venus or 0.87 times the radius of Earth. However, Kepler-2of is slightly larger than Earth or 1.03 times the radius of Earth. The Earth-size plants are part of a five-planet system named Kepler-20. Kepler-2o is roughly 1,000 light-years away from Earth in the constellation Lyra. NASA reports that Kepler-20e circles a sun-like star every 6.1 days, while Kepler 20f orbits the same star every 19.6 days. Both of the Earth-size planets are similar to Earth in size only. The short orbits of the Earth-size planets corresponds to extremely hot and uninhabitable conditions on the planet. For example, Kepler-2of (8000 degree Fahrenheit) is similar to the planet Mercury as far as temperature is concerned. However, Kepler-2oe is even hotter (1,400 degrees Fahrenheit). 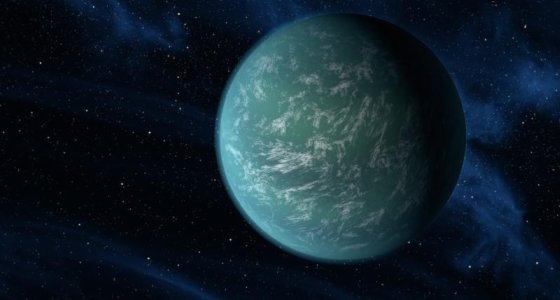 Kepler-20e would melt glass. “The primary goal of the Kepler mission is to find Earth-sized planets in the habitable zone,” Francois Fressin of the Harvard-Smithsonian Center for Astrophysics in Cambridge, Massachusetts, lead author of a new study published in the journal Nature, said in a NASA press release. 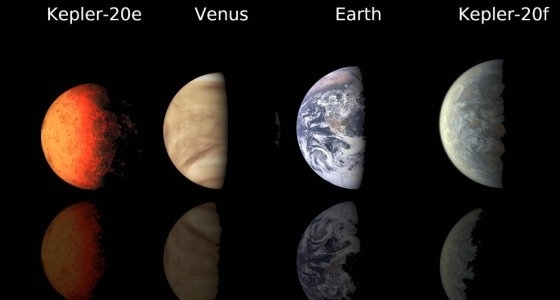 “This discovery demonstrates for the first time that Earth-size planets exist around other stars, and that we are able to detect them,” Mr. Fressin added. The Kepler-20 system has other planets that are not Earth-like in size. Three of the other planets are bigger than Earth, but tinier than Neptune. NASA reports that Kepler-2ob, Kepler-20c and Kepler-2od, circle a sun-like star every 3.7 days, 10.9 days and 77.6 days. Additionally, all five planets in the Kepler-20 system have orbits that are similar to Mercury’s orbit. The planets of the Kepler-20 system orbit a star that is a bit smaller and cooler than the sun. NASA also reports that the Kepler-20 system has a strange arrangement. In our solar system, rocky planets circle close to the sun, while large, gaseous planets circle farther out. However, in the Kepler-20 system, the planets are positioned in alternating size. “The Kepler data are showing us some planetary systems have arrangements of planets very different from that seen in our solar system,” Jack Lissauer, planetary scientist and Kepler science team member at NASA’s Ames Research Center in Moffett Field, California, said in a NASA press release. “The analysis of Kepler data continue to reveal new insights about the diversity of planets and planetary systems within our galaxy,” Mr. Lissauer added. While scientists are not sure why the Kepler-20 system is arranged the way it is, they do not believe that the planets originated from the locations they are in now. According to NASA, scientists believe that the planets were constructed a greater distance from the sun-like star than they are now and eventually moved closer. The Kepler space telescope looks for planets and possible planets by looking at “dips” in the brightness of more than 150,00o stars to reveal planets that are “crossing in front, or transiting, their stars.” After three transits, the Kepler science team knows that a planet has been discovered. The Kepler science team deploys ground-based telescopes and the Spitzer Space Telescope to examine discoveries on possible planets that are located by the spacecraft. However, the star field that Kepler examines in the constellations Cygnus and Lyra can only be seen from ground-based observatories in the spring, summer and early fall. The data from the ground-based telescopes and the Spitzer Space Telescope help scientists confirm the discovery of planets. Astronomer utilized a computer program called Blender to confirm the discovery of the Earth-size planets, Kepler-20e and Kepler-2of. Blender used simulations to determine whether other “astrophysical phenomena” were disguised as planets. Back on December 5th, the Kepler team announced the discovery of Kepler-22b. Kepler-22b was found in the habitable zone of its parent star. “In the cosmic game of hide and seek, finding planets with just the right size and just the right temperature seems only a matter of time,” Natalie Batalha, Kepler deputy science team lead and professor of astronomy and physics at San Jose State University, said in a NASA press release. “We are on the edge of our seats knowing that Kepler’s most anticipated discoveries are still to come,” Ms. Batalha said. 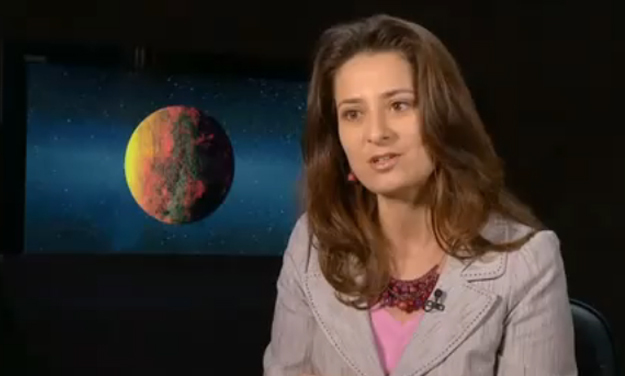 As Kepler deputy science team lead, Associate Professor of Physics and Astronomy Natalie Batalha joined NASA to announce today the mission has discovered its first planet in the habitable zone of another star. The habitable zone is the region around a star where liquid water could exist on a planet’s surface. Kepler also has discovered more than 1,000 new planet candidates, nearly doubling its previously known count. The Kepler Mission, NASA Discovery mission #10, is specifically designed to survey our region of the Milky Way galaxy to discover hundreds of Earth-size and smaller planets in or near the habitable zone and determine the fraction of the hundreds of billions of stars in our galaxy that might have such planets.